Many descendants of Ruth and Rene Cossitt have served their country bravely in defending our freedom. Some have come home, others have not. This is the story of Signalman First class William Tucker Mabin of La Grange, Illinois, his new bride Margaret Amy (Margy) Miles and their daughter Nancy Mabin. Margy was the 5th Great Granddaughter of Ruth and Rene Cossitt. Bill and Margy were sweethearts and engaged to be married. It was November, 1940 and the United States was not at war, but after 2 years of college, Bill Mabin decided to enlist in the United States Navy in order to satisfy his 4 year military commitment before he returned to college. After basic training Bill was stationed in San Diego, CA. We all know what happened on December 7, 1941 and it looked like Bill would continue to be stationed in San Diego for the near future. Margy moved to San Diego where the couple was married in May of 1942. 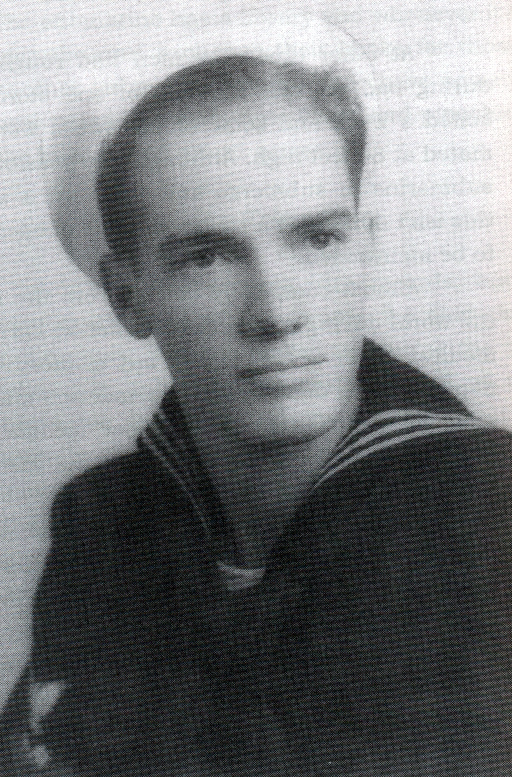 Bill eventually applied for submarine duty and in August of 1942 was transferred to New London, Connecticut. 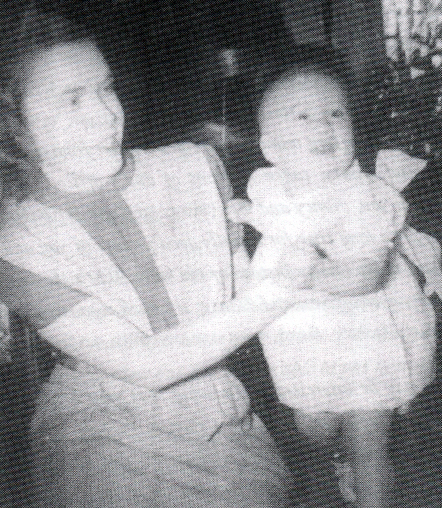 Margy returned to La Grange and lived with her mother. She was 4 months pregnant. In December, 1942 Bill started his submarine duty on the U.S.S. Balao (SS-285). On January 11, 1943 Nancy Mabin was born, via Cesarean, and after the Red Cross notified Bill, the Navy graciously gave him a 9 day leave. 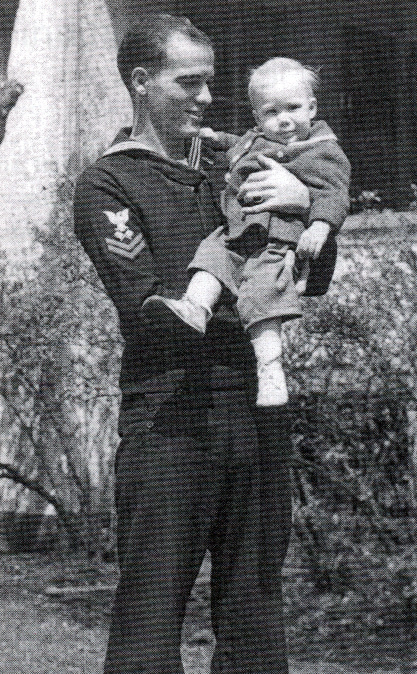 Bill’s sailed for the Pacific theater to join the 7th fleet at Brisbane, Australia on July 10, 1943. On July 25, 1943 they left Brisbane on a 50 day patrol. His second patrol started in October and lasted 43 days. Bill’s third patrol started in December and lasted 38 days. During these patrols they had depth charges dropped on them as they pursued the destruction of Japanese shipping and war vessels. Both Bill and Margy could write letters to each other, but all of Bill’s letters were censored. Bill would receive his mail when he was in port and at that same time his letters to Margy would start their way to La Grange. Every one Bill’s letters talked about the deep love that he had for Margy and for their daughter, Nancy. Christmas of 1943 was the third Christmas Bill and Margy (and Nancy) were separated by the war. Bill’s fourth patrol started in February, 1944 and lasted 42 days. In June of 1944 Bill was transferred back to New London, Connecticut and then to Manitowoc, Wisconsin where his next submarine, the U.S.S. Lagarto was under construction. For five months Bill, Margy and Nancy were a family living together. On Christmas Day, 1944 the U.S.S. Lagarto, with Bill aboard, reached Pearl Harbor on its way to combat in the Pacific. While on patrol in the South China Sea on May 3, 1945 the U.S.S. Lagarto made its last contact early in the morning with another US submarine. Both submarines were on the surface as the captains talked to each other over megaphones in preparation for the next day’s combat. The U.S.S. Lagarto was never seen nor heard from again. Only after The U.S.S. Lagarto failed to show up in Australia on a pre-arranged date did the Navy start to make an inquiry which eventually resulted in the families of the crew being notified that the submarine and crew were missing. The family members of the crew started to correspond by mail and the general hope was that the crew had survived, were taken as prisoners of war and held on one of the many small islands in the area. As months went by after VJ day it became clear that there were no survivors. At the end of 12 months the Navy stopped their pay and death benefits were awarded. Due to the circumstances, there was no closure for the families. On May 18, 2005 several deep sea divers discovered a sunken WW II US submarine about 100 miles off of the coast of Thailand. While news of this find was not broadly distributed it could be found on the internet. Nancy, now a grandmother, was one of the first to find this information and with what information the Navy had from 1945, there was a good possibility that The U.S.S. Lagarto had been found. As additional dives were made over time, it became clear to Nancy and many of the other surviving family members that this was, indeed, the U.S.S. Lagarto. The problem was that the US Navy would not send a dive team to confirm this find and therefore, there could be no official recognition by the US Navy. Nancy and several of her friends started the task of finding as many surviving family members of the 86 person crew as possible. Once Margy was told of the discovery, Nancy decided, for the first time, to read all of the letters that her father had sent her mother. Most of the crew was quite young and not married; therefore there were only about a half-dozen widows and a couple of dozen children living at this time. For many of the sailors, siblings and nieces and nephews were the only surviving family members. By the end of the first year after discovery, a little more than half of the crew’s surviving families were found. As of June, 2014, families of 73 of the 86 sailors have been found. On May 4 to 8, 2006, the families held a memorial service in Manitowoc, Wisconsin where The U.S.S. Lagarto was built some 62 years earlier. While the US Navy would not provide US flags for the family members, the VA did. The guest speaker was Rear Admiral Jeffrey Cassias, Commander Pacific Submarine Force in Pearl Harbor. For most of the surviving family members, there was now closure. Nancy was finally able to get a US dive team to confirm that the U.S.S. Lagarto had been found and the US Navy confirmed this fact one month after the memorial. It was also confirmed that the outer door to torpedo tube 4 was open and there was no torpedo in the tube. From the position of rudder and other devices it appears that they probably filer their torpedo while on the surface and then dove immediately. It was during this dive that a depth charge sunk it. During WW II the United States lost a total of 52 submarines, mostly in the Pacific. The Lagarto was the 50th submarine to be lost. On a few of these losses, some of the crew survived and were taken as prisoners of War by the Japanese. Since the first discovery of The Lagarto, five other lost US submarines have been found. In June of 2014 a possible 6th lost US submarine may have been found. Additional information on Bill and the U.S.S. Lagarto can be found in The Lost Submarine by Nancy Kenney ©2012. First published June 16, 2014, revised June 30, 2014.